Construction of the Brookshire Freeway displaced all houses on this odd-numbered side of Van Buren Avenue about 1968. Construction of the Brookshire Freeway displaced all houses in this part of Van Buren Avenue about 1968. Built about 1958 for William E. White, a teacher at Northwest Junior High. After the government took land along Van Buren Avenue in 1968 to build the Northwest Expressway (now Brookshire Freeway), White won appointment to the Charlotte Redevelopment Commission, a place where he could call attention to the harm that such projects did to neighborhoods. Construction of the Brookshire Freeway displaced all houses on the odd-numbered side of Van Buren Avenue about 1968. 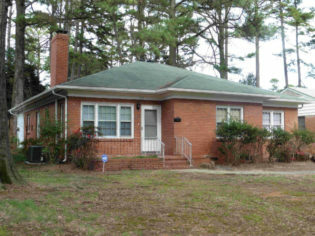 Built 1955 – 56 for dentist Dr. J. Dwight Martin and his wife Ruby Barr Martin, a teacher and college administrator who had worked on Wall Street before coming to Charlotte. Dr. Martin’s Civil Rights activities included co-filing a lawsuit to stop construction of a separate and unequal campus of historically black Carver College in 1961. He was the son of early JCSU professor James D. Martin, for whom Martin Street on the southern border of campus is named. 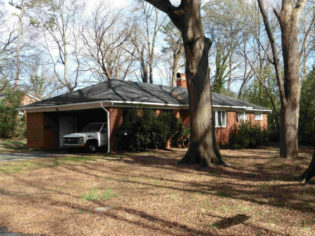 Built in 1955 for Joseph W. Harper II, a letter carrier with the Post Office who also worked as a waiter at Charlotte’s elite country clubs, and his wife Lucy Harper, an entrepreneur whose businesses included Harper’s Barber Shop. 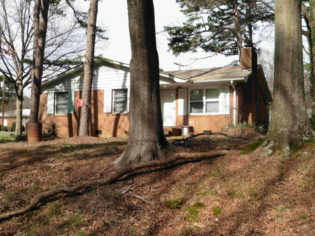 The couple lived there until his death in the 1960s and hers in 1975. 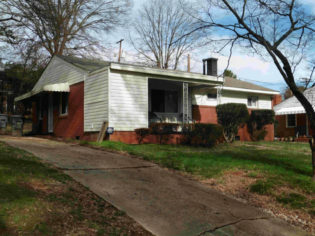 During the late 1950s, son Joseph W. Harper III and his bride Mary Turner Harper stayed here at 1630 Van Buren during summer breaks from their teaching jobs in Lincolnton, NC, until building their own house a few blocks away in Charlotte’s Oaklawn Park neighborhood in 1959. Both would go on to be important educational leaders. Joseph Harper III became a beloved coach whose name is still remembered Lincolnton, then served as Assistant Principal at East Mecklenburg High School in Charlotte from the 1970s until 1991. Dr. Mary T. Harper became one of first African American professors at UNC Charlotte, then in 1976 co-founded what is now the Gantt Center for African American Art and Culture. Construction of the Brookshire Freeway displaced all houses on the odd-numbered side of Van Buren Avenue about 1968. 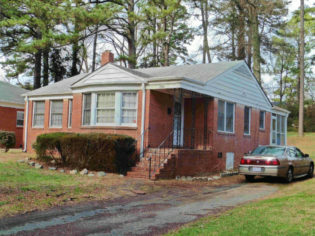 This residence, which had recently been built by the family of Civil Rights activist Rev. 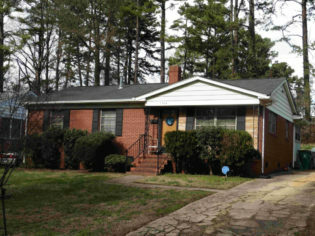 Cecil Ivory, was moved to the Hyde Park neighborhood further out Beatties Ford Road. 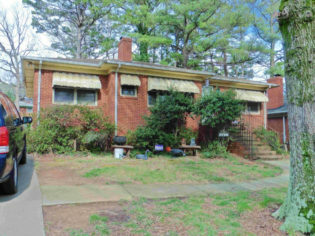 Built about 1966 and first occupied by H. Howard Davis, Dean of Men at Johnson C. Smith University, and his wife Caldonia Dyson Davis, an instructor at JCSU. 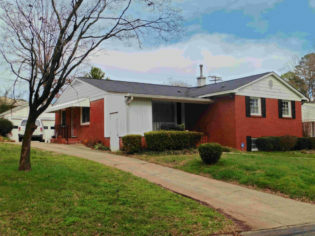 This house, one of the larger in McCrorey Heights, was constructed about 1957 and occupied for decades by Raymond P. Rorie, Jr., and his wife Bernice G. Rorie. Both were professionals active in education and public health. Mrs. Rorie was a case worker with the county’s Department of Public Welfare. Mr. Rorie was a teacher who also served as a guidance counselor and eventually rose to lead Westerly Hills Elementary as its principal. In 1968 Mr. Rorie became the first African American appointed to the Mecklenburg County Board of Health. 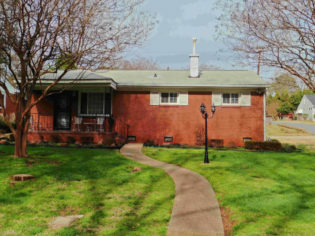 According to city directories, this house was a very late addition to McCrorey Heights. 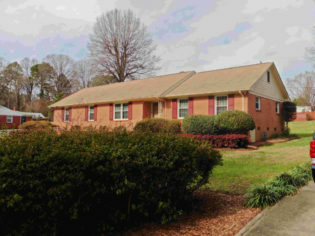 It first appeared in the directories in 1998, long after most of the neighborhood’s houses which date from the 1950s – 1960s. It was evidently a rental dwelling, with a different occupant listed each year. 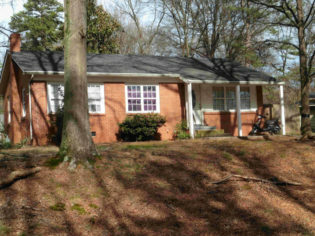 Built about 1960 and first occupied by Rose M. Jones, the widow of Barnabas Jones. Mrs. Jones worked during the 1950s – 1980s as one of the public health nurses with the Charlotte Health Department. 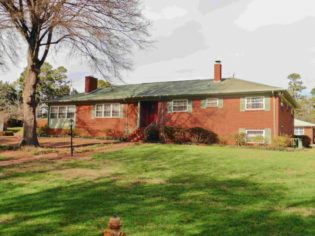 Built about 1959 and occupied by Herman L. Counts, Jr., and wife Doris H. Counts, members of a history-making family in Charlotte’s Civil Rights era. Herman’s sister Dorothy Counts attracted international headlines when she integrated Harding High School. Both Herman and his father worked at JCSU: the father as Professor of Theology; young Herman as an administrator. Herman’s wife Doris taught at Lincoln Heights and Druid Hills elementary schools. 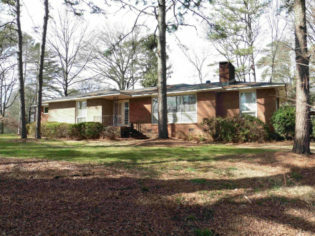 Built in 1957 for Joe Bogle, one of several brickmasons who constructed homes for their own families in McCrorey Heights, and his wife Emma Bogle, a teacher at West Charlotte High School. Subsequent longtime owners were Baxter Smoot and his wife Mary Smoot, both educators in the public schools. 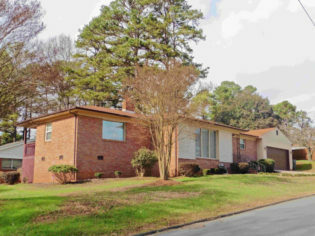 Built about 1958 for Ray Booton, Jr., a member of Charlotte’s distinguished Tate family, who repeatedly made headlines as a Civil Rights pioneer. In 1946 Booton became one of Charlotte first eight black full-time policemen. Five years later he helped launch the lawsuit that desegregated Charlotte’s Bonnie Brae Golf Course (now the Dr. Charles L. Sifford Golf Course at Revolution Park). In 1999 he was inducted into the National Black Golf Hall of Fame and since 1992 a “Ray A. Booton Golf Classic” has been played in Charlotte to benefit his fraternity, Kappa Alpha Psi. This is one of a row of four houses “spec built” by local contractor Wheatley & Co. The firm took out all four permits on the same day, April 22, 1955, to construct 1800, 1804, 1808, and 1812 Van Buren Avenue. Chester Donald, a teacher at Northwest Junior High on Beatties Ford Road, became the first resident here at 1800 Van Buren along with wife Jessie N. Donald. Rev. P.L. Ross, a Presbyterian minster who served small-town churches outside Charlotte, moved here with his family as soon as construction was complete. The Ross family occupied the dwelling continuously for more than six decades. When the house first appeared in the city directories, in 1957, the occupant was Mrs. Virginia W. Stepteau. She worked as a cashier with the North Carolina Mutual Insurance Company, one of the nation’s largest black-owned businesses.